Phone Words are extremely limited in supply. 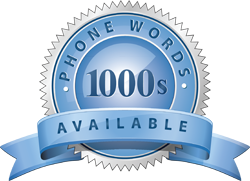 1300 Easydial can always license or sell a Phone Word to almost anyone. However, our major goal is not just to supply, but more importantly, it’s matching the right Phone Word with the right company.